Football season is in full swing! My hubby played college football and we're enjoying getting to watch his alma mater play. 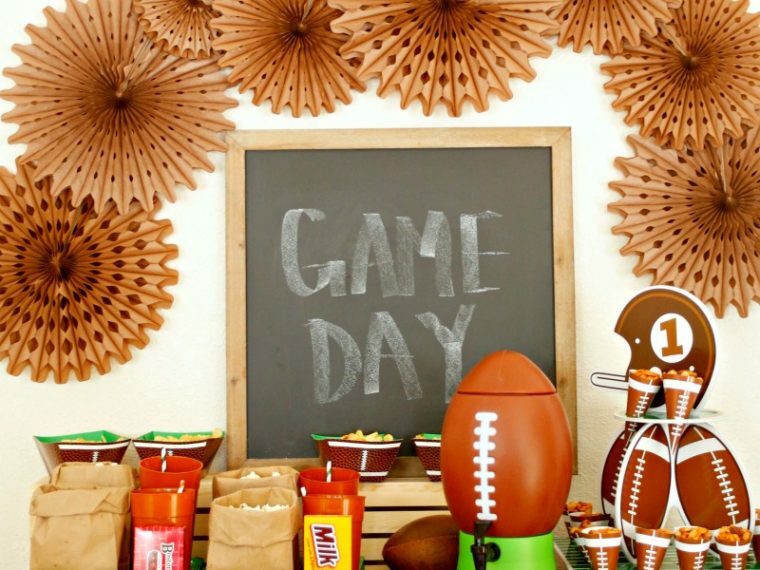 We've been watching a lot of football at home and at game day parties. 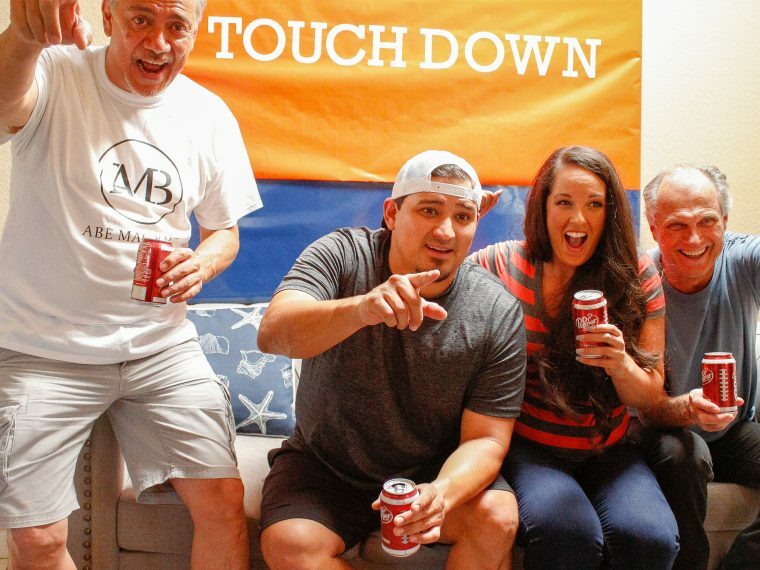 This is the first year that I've actually gotten into the football spirit and we'll be hosting a lot of game day parties at our house. 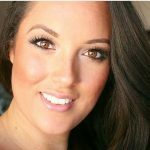 I like to plan ahead - decor, tablescapes, drinks, and of course food. Spicy food to be exact. 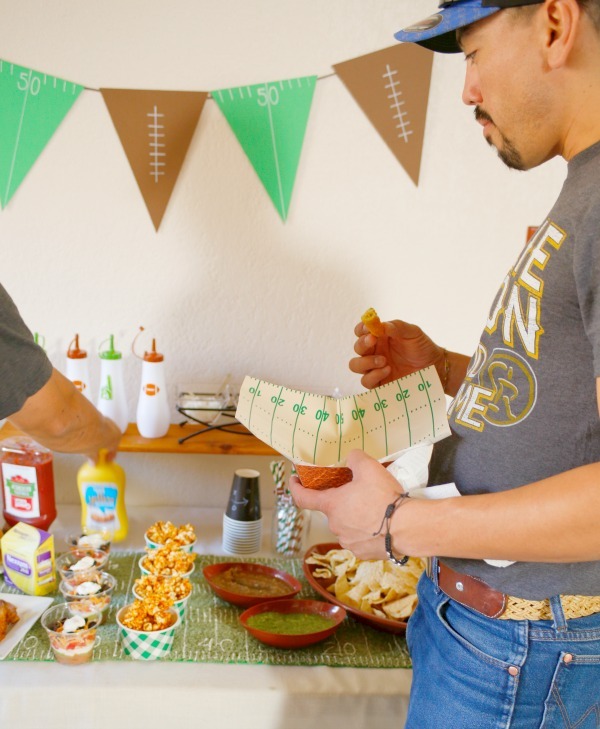 As you may know, spicy food and football go hand in hand, but we're both starting to suffer from frequent heartburn. 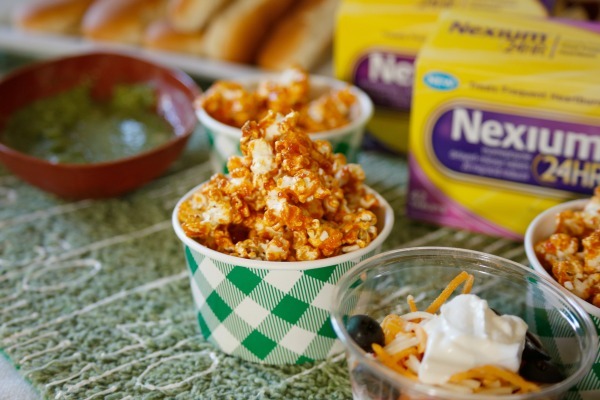 Instead of shying away from our favorite spicy game day foods, Nexium® 24HR has become part of the game day prep. And now we can enjoy all the heat without any pain. 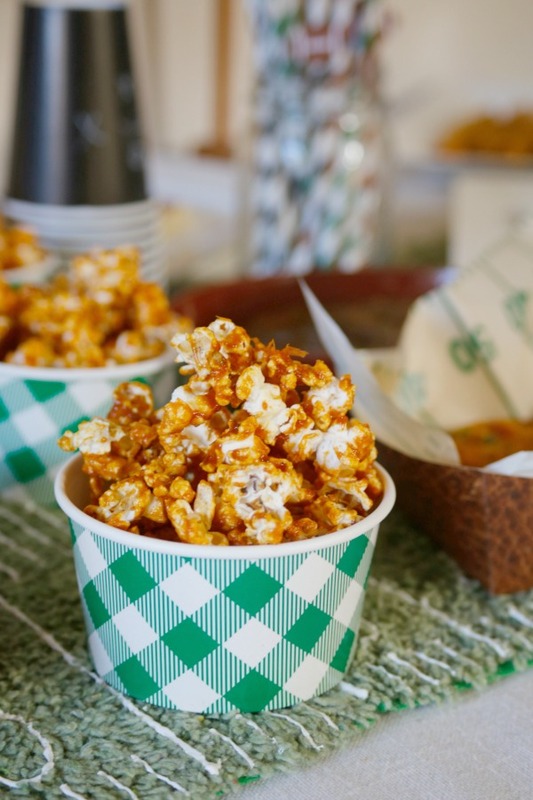 This Buffalo caramel popcorn is sweet and spicy and perfect for game day. That's right - buffalo caramel popcorn. 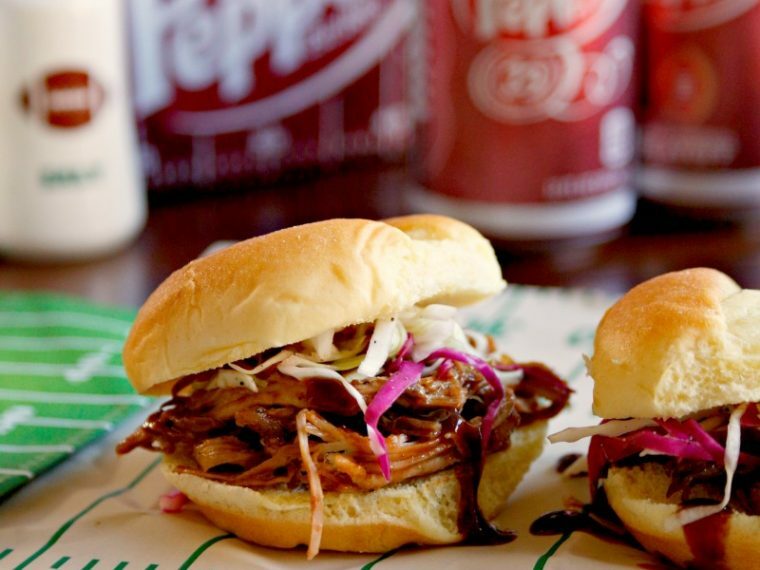 It's so yummy and full of buffalo flavored goodness. 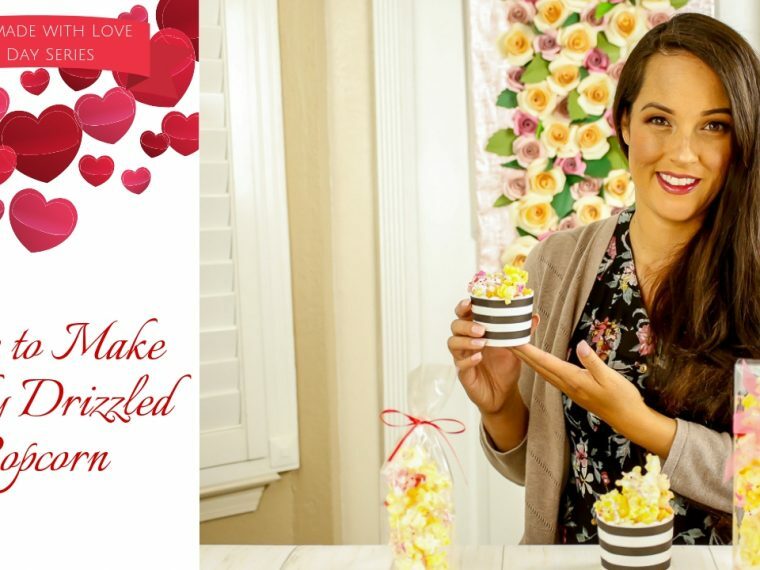 This buffalo caramel popcorn starts off with a bag of plain popped popcorn. To make the buffalo caramel sauce, this recipe starts off with a traditional caramel by combining sugar and water over medium heat. 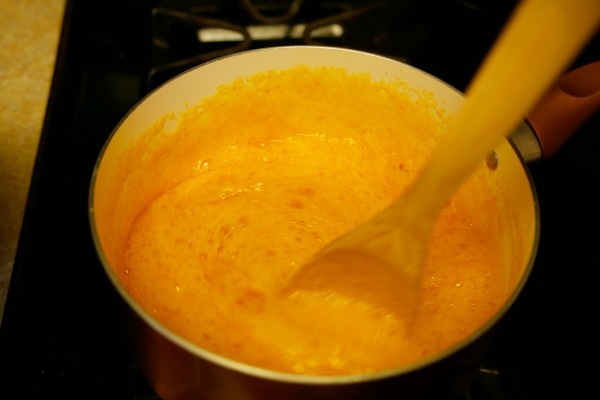 After the the caramel has formed, buffalo wing sauce and butter gets mixed in and brought to a gentle boil. Then baking soda gets mixed in and the sauce will foam up like a science experiment. 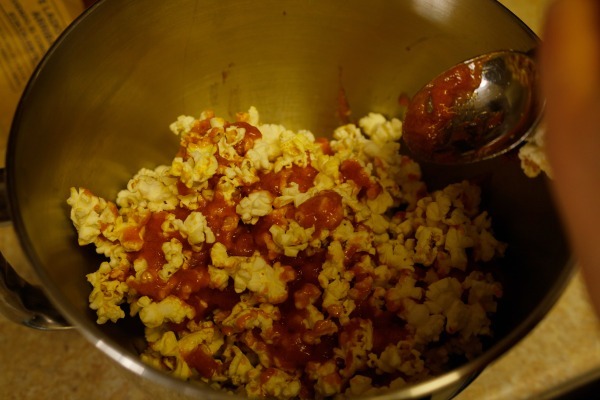 Right after mixing in the baking soda, the buffalo sauce gets poured over the popcorn in a bowl that has been sprayed with cooking spray. Working quickly so the sauce doesn't start to set, the popcorn and sauce needs to be tossed so that the sauce is evenly distributed. 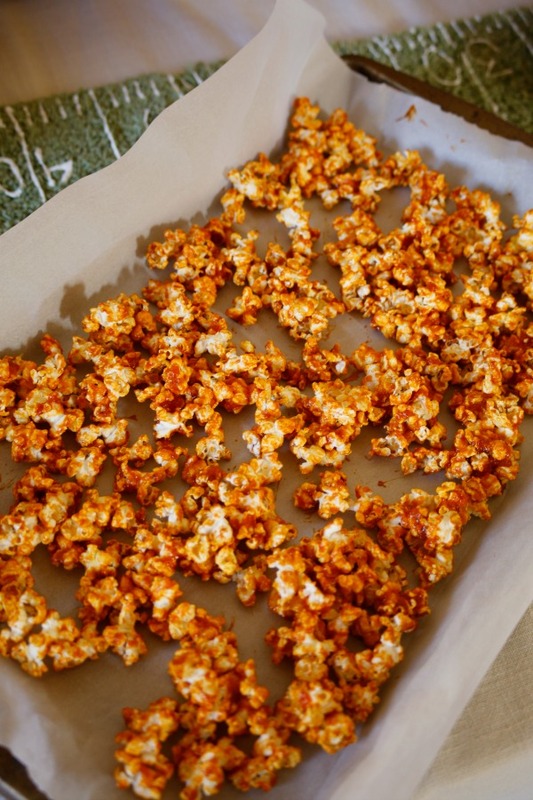 The popcorn then gets spread onto a lined baking sheet and baked at 300 degrees for 10 minutes. Once it comes out of the oven and is cooled, this buffalo caramel popcorn is ready for eating! But it sure packs some heat! Good thing Nexium® 24HR was part of my pre party planning. 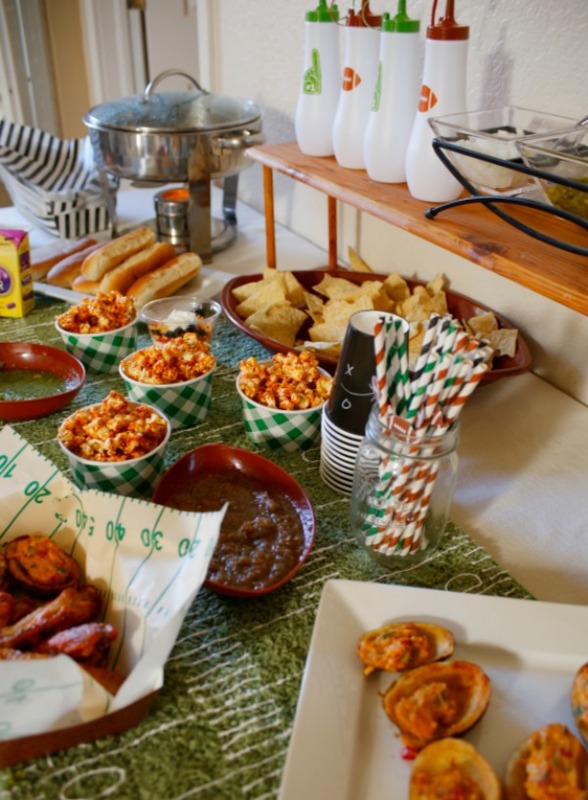 In addition to the spicy buffalo caramel popcorn, I had a lot of other spicy foods on our party table. 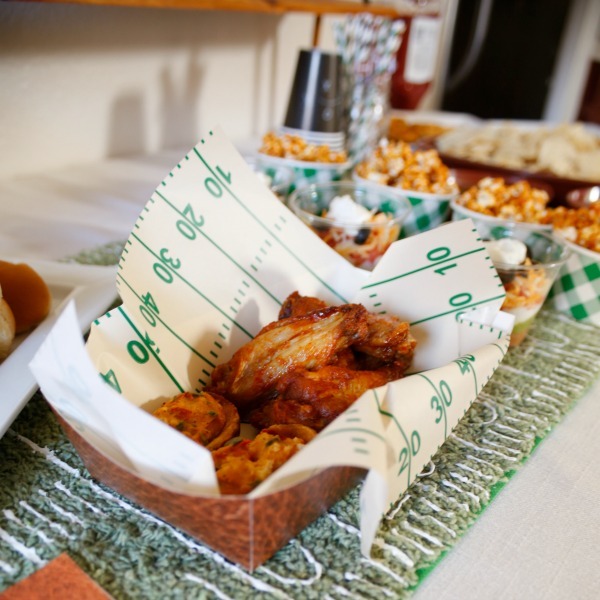 Wings are almost a requirement at any sporting event party. 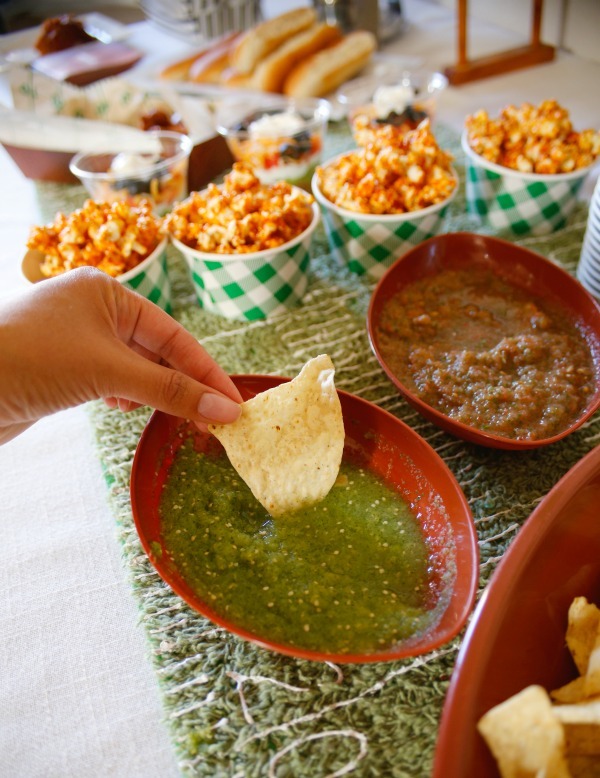 I made super hot salsa and salsa verde from tomatillos grown in my mom's garden. I'll be sharing that recipe with you sometime next week. 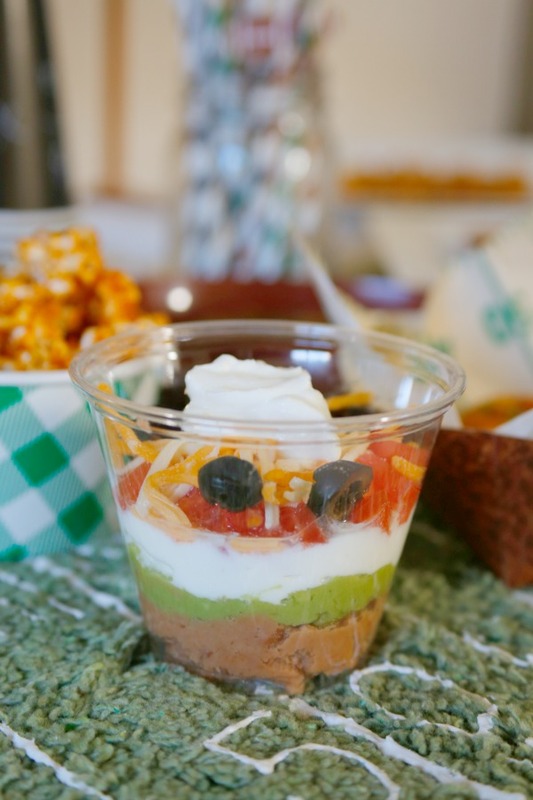 Also served up were these individual 5 layer dips. 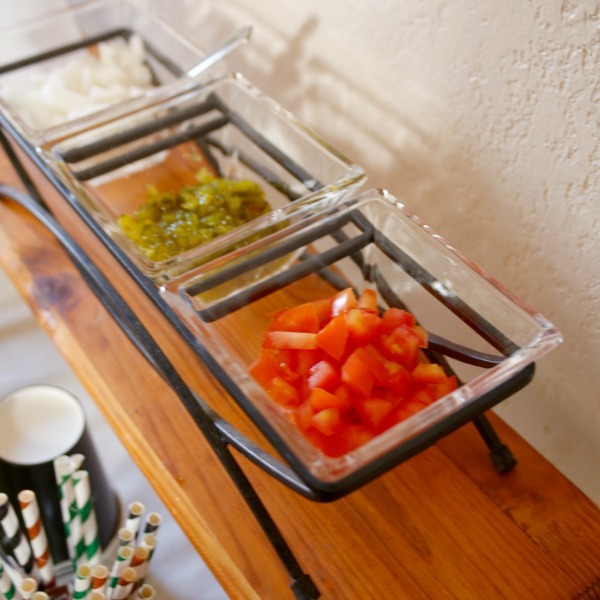 I set up a hot dog bar by keeping the hot dogs warmed in a chafing dish and placing the buns on a plate in front. 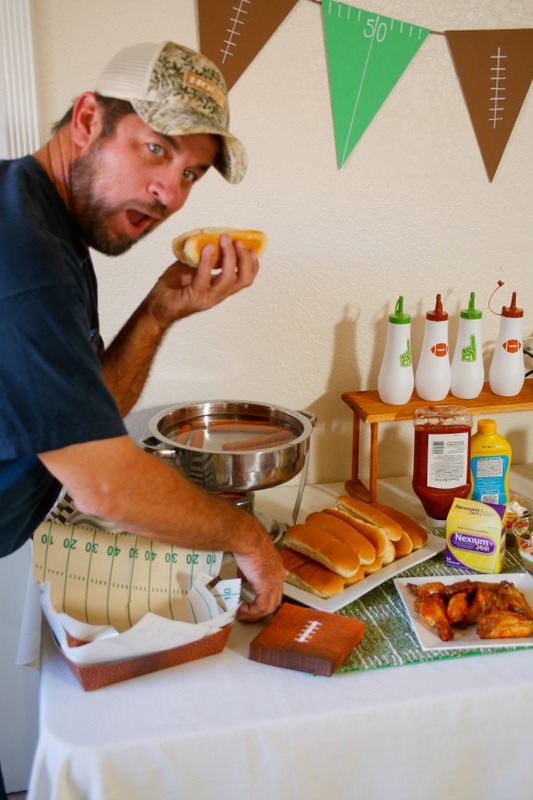 Guests could top the hot dogs with a variety of ketchup and mustards. 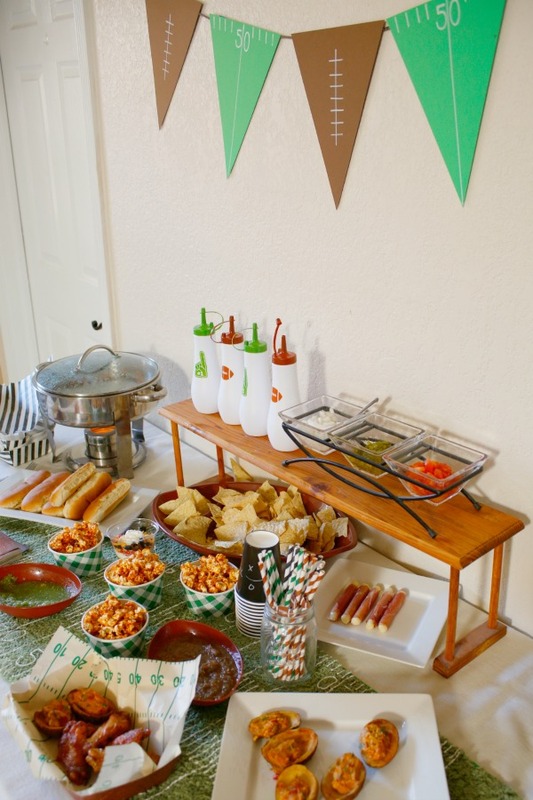 We enjoyed taquitos, potato skins, and prosciutto wrapped mozzarella sticks too. Here's one of my hubby's good friends goofing off. 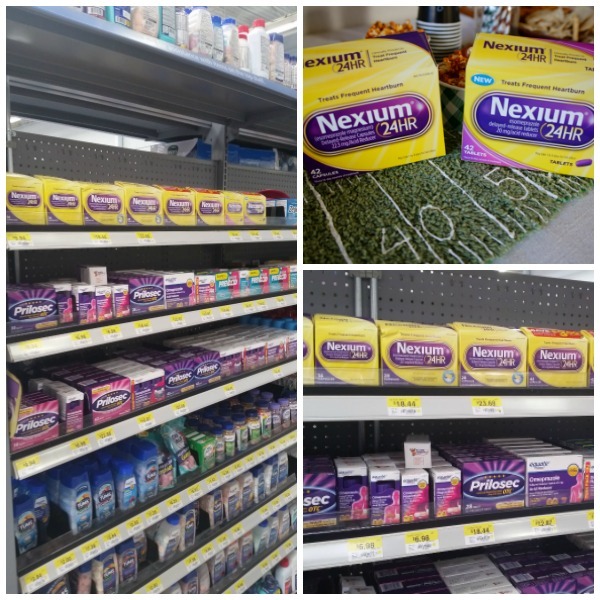 A lot of my party prep shopping was done at Walmart where I was able to pick up my much needed Nexium® 24HR Capsules and Nexium® 24HR Tablets. I also picked up most of my football themed paper products at Walmart. Don't you love these football field lining papers? And I think these football straws are the cutest thing! 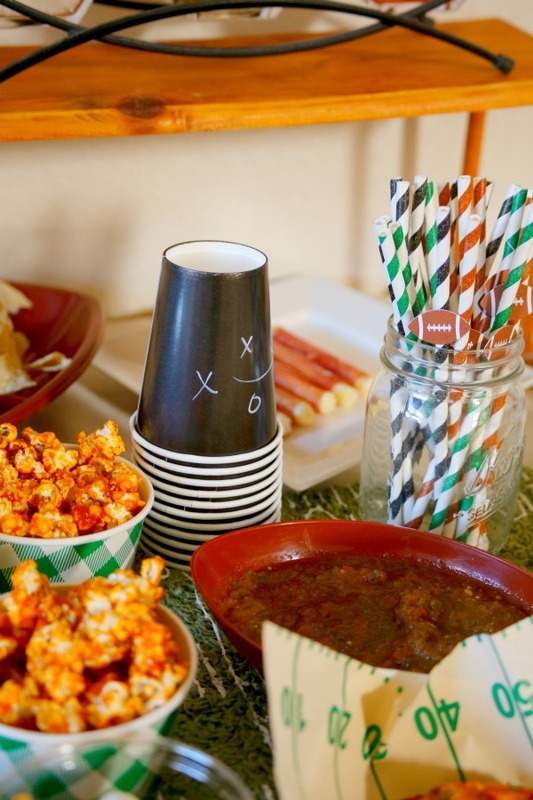 For the cups, I used plain black paper cups and drew football plays on them with a white paint marker. 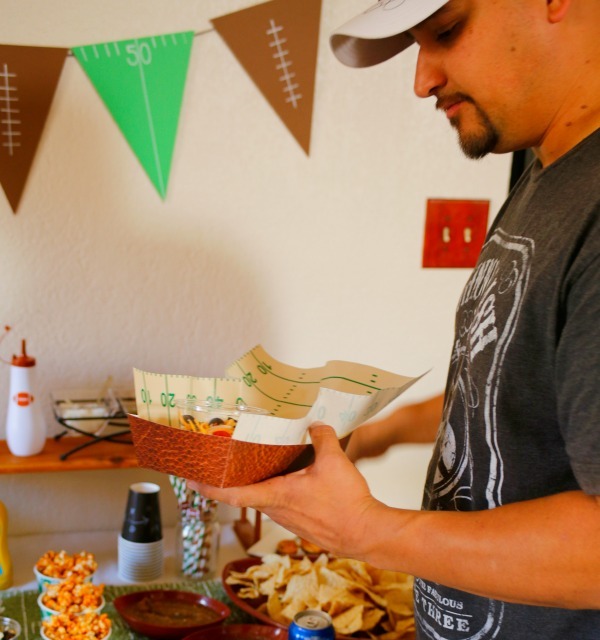 You may recognize this football field table runner from earlier this month. I also made the football banner by cutting cardstock into triangles and using that same white paint pen. Then I used tape to attach them to a ribbon. 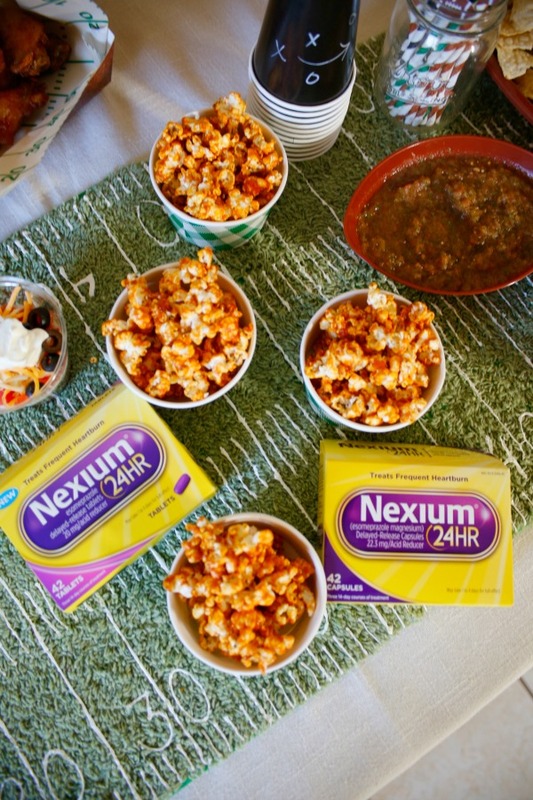 The party was a success and none of us suffered from heartburn thanks to Nexium® 24HR. You can sign up for coupons and promotions for Nexium® 24HR to save some moolah and to save yourself from any pain caused by spicy hot food. 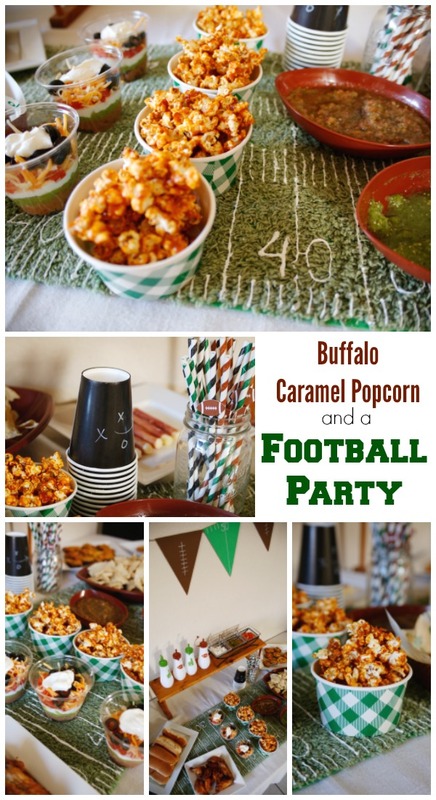 Let me know if you try out the Buffalo Caramel Popcorn and how you like it. 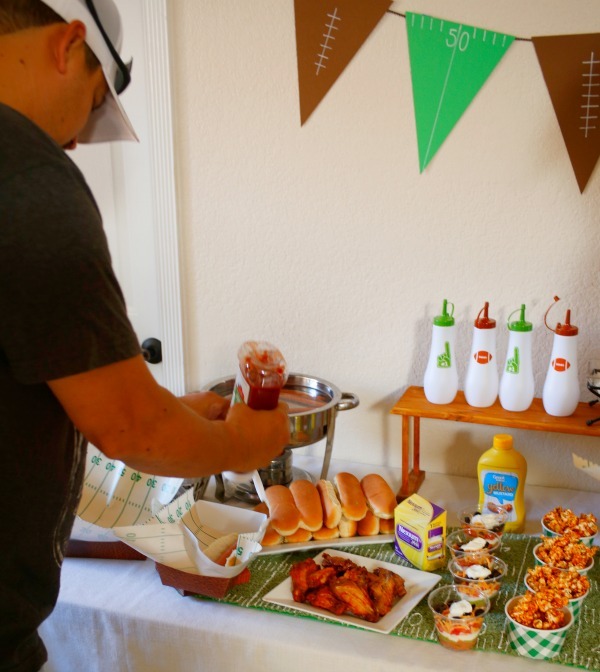 What other spicy treats will you be serving at your game day parties? Buffalo Caramel Popcorn 1 bag popped plain popcorn 3/4 cups sugar 1/4 cup water 3 TBSP butter 1/2 cup buffalo wing sauce 1/2 tsp. baking soda 1. Preheat your oven to 300 degrees and line a baking sheet with parchment paper. 2. Spray a large bowl with cooking spray and add popped popcorn. 3. Place sugar and water in a heavy bottomed sauce pan over medium heat. 4. Allow sugar to caramelize until just light in color. 5. 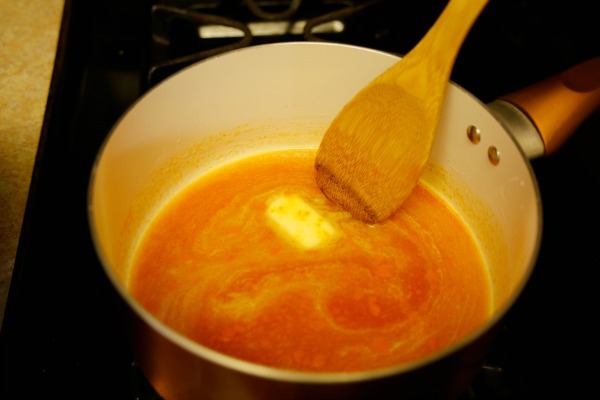 Remove the pan from heat and stir in butter and buffalo wing sauce. 6. Return the pan to the heat and bring to a soft boil. 7. Stir in baking soda. 8. 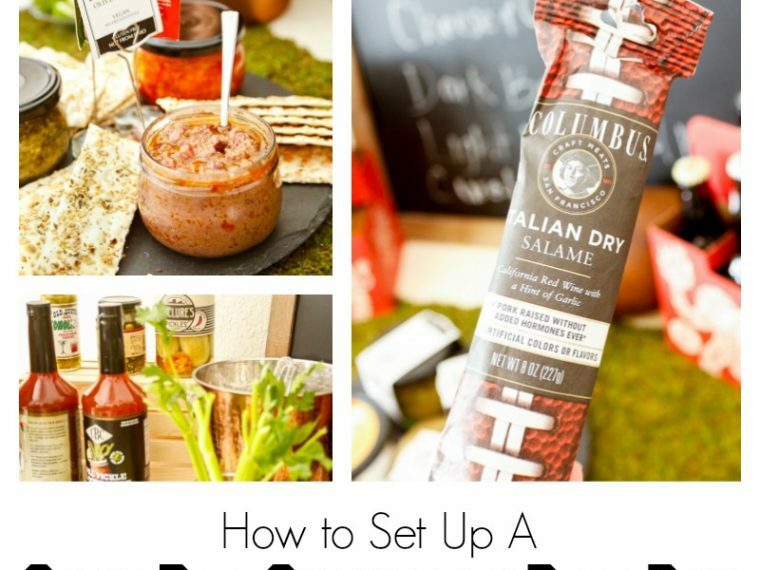 Working quickly (but carefully, it will be hot) pour the buffalo sauce mix over the popcorn and toss to combine. 9. 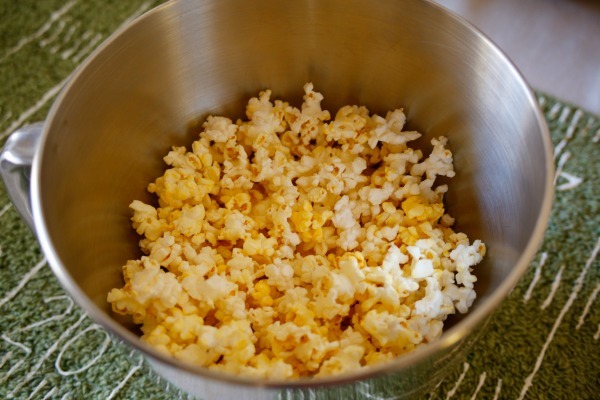 Spread the popcorn onto the lined baking sheet in a single layer. 10. Bake for 10 minutes then allow to cool. 11. Once cooled, serve or store in an airtight container.